If after road trip inspiration, take a look at ten of the most scenic driving routes in the country. 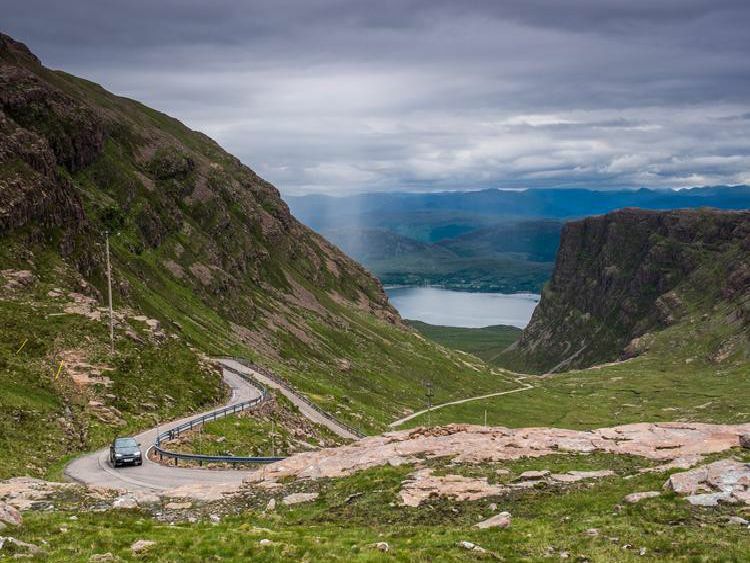 The A82 through Glencoe is hardly a secret, but it's difficult to be cynical about the clogged roads when you're surrounded by some of the most rugged and spectacular terrain in Scotland. Consisting of multiple alpine-like hairpin bends and gradients of up to 20%, this road isn't for the feart. The single-track road is now a Mecca for cyclists and a highlight on the North Coast 500 (NC500). The descent through Glen Docherty to Kinlochewe is a highlight for all tourists who undertake the NC500. The A832 is draped along the glen like a piece of spaghetti - an enticing invitation for petrol heads. This route follows the Argyll west coast and provides great views of Loch Linnhe and Castle Stalker.Start the drive at Connel and cross Loch Etive, following the A828 up to Ballachulish - the gateway to Glencoe.